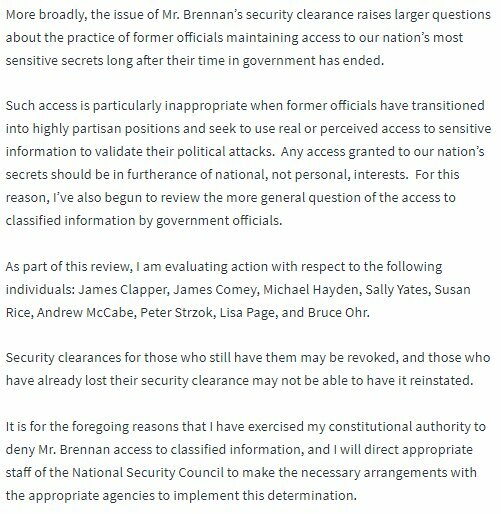 Thread by @NBCNews: "BREAKING: President Trump is revoking former CIA Director and high-profile Trump critic John Brennan's security clearance, White House says. […]"
In justifying the revocation, the White House asserts that Brennan -- who has been highly critical of President Trump, including on Twitter and as an NBC News and MSNBC analyst -- "has history that calls into question his objectivity and credibility." White House says President Trump is also reviewing the security clearances of other former US national security officials, including vocal Trump critics such as former James Clapper, Jim Comey, Michael Hayden, Sally Yates, Susan Rice and Andrew McCabe. In July, Speaker Ryan said, "I think he's trolling people, honestly" when asked about Pres. Trump's threats to revoke security clearances from former officials. Brennan tweet to Trump on Tuesday: "It’s astounding how often you fail to live up to minimum standards of decency, civility, & probity. Seems like you will never understand what it means to be president, nor what it takes to be a good, decent, & honest person." Asked if people who criticize President Trump on TV are at greater risk of losing their security clearances than people who stay silent, White House says cases for revocation are looked at on individual case-by-case basis. House Minority Leader Pelosi: "Revoking the security clearance of an honorable patriot is a stunning abuse of power & a pathetic attempt to silence critics." Sen. Warner: "This might be a convenient way to distract attention, say from a damaging news story or two. But politicizing the way we guard our nation’s secrets just to punish the President’s critics is a dangerous precedent." Former Obama Dep. Nat'l Security Advisor Rhodes: "Brennan was the point person for the Obama White House on the operation that killed Osama bin Laden. He knows a lot more about defending our nation than someone who uses security clearances to punish his political adversaries." "This action is part of a broader effort by Mr. Trump to suppress freedom of speech & punish critics. 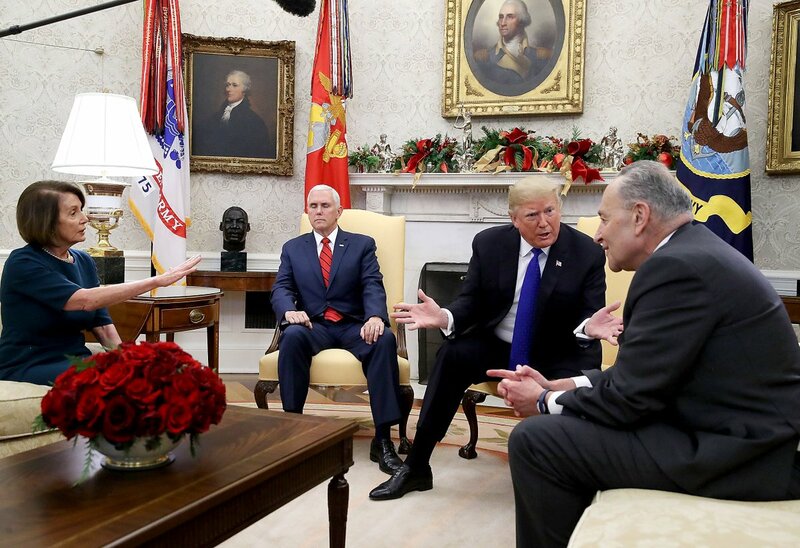 It should gravely worry all Americans ... My principles are worth far more than clearances. I will not relent." JUST IN: VP Biden: "In the time I have known him, John Brennan has never been afraid to speak up and give it to you straight. Revoking his security clearance is an act unbecoming of a President. If you think it will silence John, then you just don't know the man." Sen. Paul says he applauds Pres. 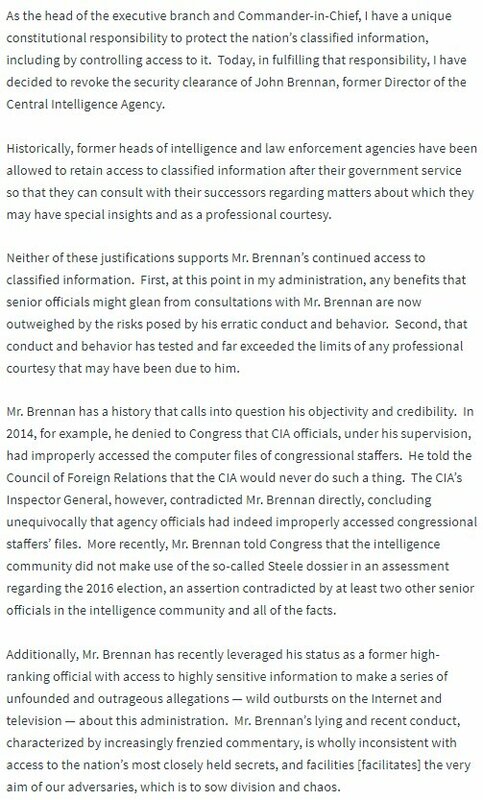 Trump for revoking Brennan’s security clearance, and alleges that Brennan “participated in a shredding of constitutional rights, lied to Congress, and has been monetizing and making partisan political use of his clearance since his departure." Sen. John Kennedy: "I think most Americans look at our national intelligence experts at being above politics. Mr. Brennan has demonstrated that that’s not the case. He has been totally political. I think I called him a butthead and I meant it." Former FBI Director Comey: "Once again this president is sending a message that he will punish people who disagree with him and reward those who praise him ... Politicians enabling this president should be held accountable in future elections." “The president’s decision to revoke John Brennan’s security clearance and threat to do so with others harms our national security and once again shows how petty and thin-skinned President Trump truly is," Sen. Feinstein, a member of the Senate Intel Cmte., says. @GaryGrumbach Michael Flynn's sentencing hearing is now underway. “We are currently monitoring multiple bomb threats that have been sent electronically to various locations throughout the city. These threats are also being reported to other locations nationwide and are not considered credible at this time." 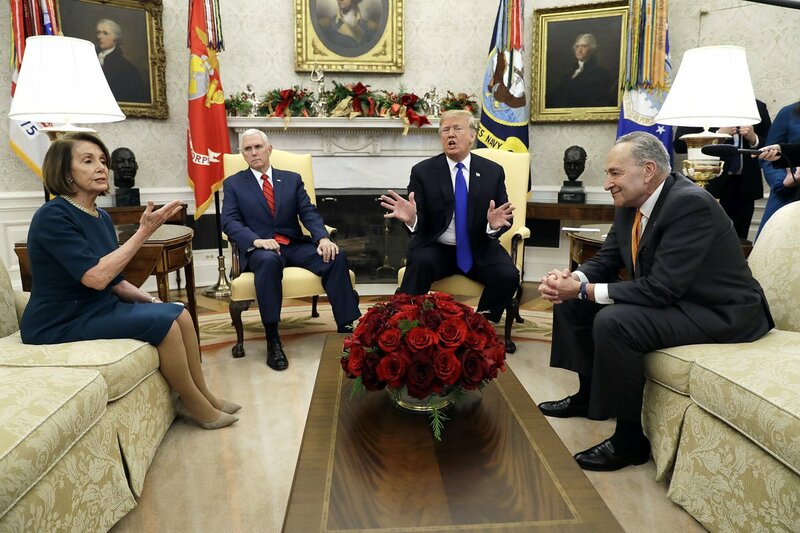 DEVELOPING: President Trump, Senate Minority Leader Schumer and House Minority Leader Pelosi are openly quarreling about proposed border wall and a potential government shutdown in front of press during their ongoing meeting in the Oval Office. #BREAKING Trump revokes ex-CIA Director John Brennan’s security clearance. Sarah Huckabee Sanders reads statement calling him a liar and says he’s sowing division and chaos. Reads off more names of top Trump critics. 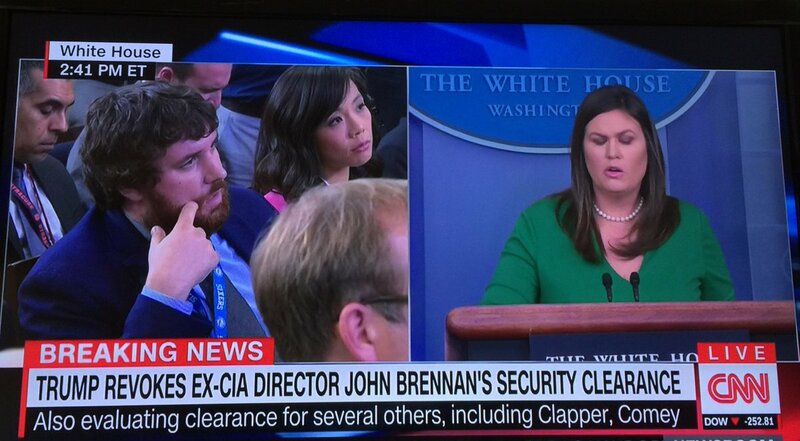 Reporter to Sarah HS: The List of people whose security clearances TRump is considering revoking besides John Brennan’s are only Democrats. Why should Americans have confidence you’re taking this seriously if not a single Republican—not even Flynn who lied to FBI—is on that list? 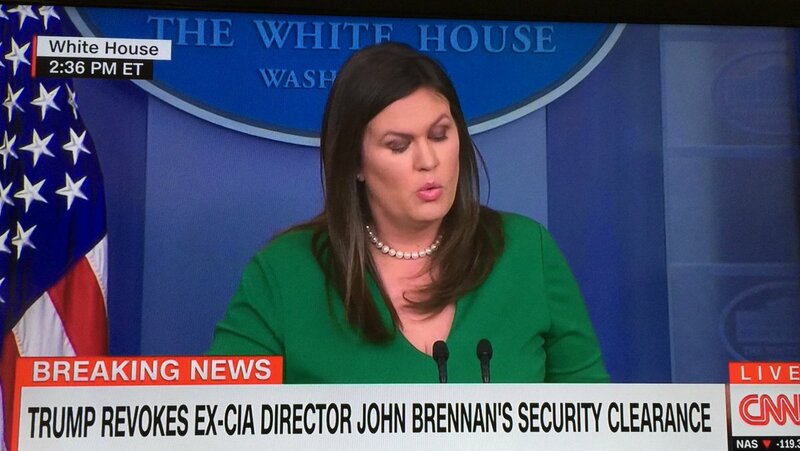 #BREAKING: WASHINGTON (@AP) — White House: Trump is revoking security clearance of former Obama administration CIA director John Brennan.